Edited by Storm-Giant at 12:06, 10 Oct 2014. 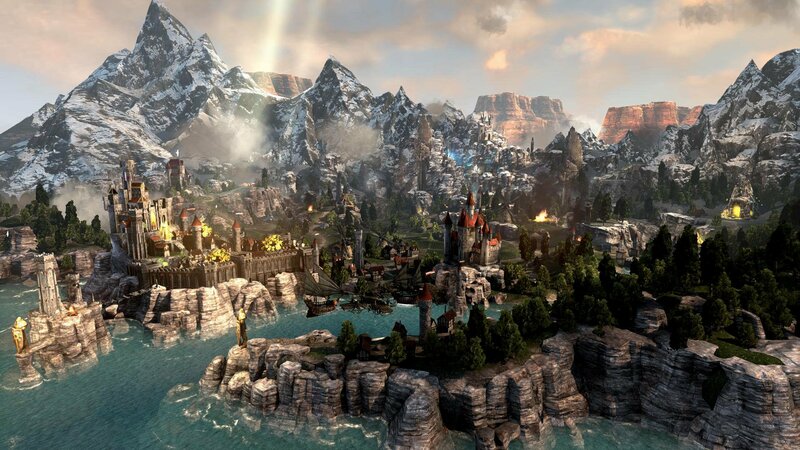 Might & Magic: Heroes VII is being developed by Limbic Entertainment, a company who isn't unknown to the Might & Magic franchise. Previously they worked on Heroes 6 together with Blackhole Entertainment and when BH went banckrupt, they stepped in and worked on the patching process of the game. After Virtous Gaming took care of H6 expansion, Limbic produced Might & Magic X: Legacy, a revival of the RPG series. Heroes 7 is set right after the 4th Eclipse: Demons storm the capital of the Falcon Empire and massacre the royal house. As the rest of Haven duchies are fighting for power, we'll aid Duke Ivan of Griffin to restore peace in a time of civil torment, with the help of several Ashan factions. The Shadow Council is Limbic/Ubisoft approach to give the fans an opportunity to work in the game. As they did in MMX open dev blog, players will have the chance to vote in certain features of the game. We start big, as we have to choose one of the factions that will be part of the release: Sylvann vs Fortress. You can read more about the Shadow Council here! - Armies of the Light, part 1. - Armies of the Light, part 2. - Armies of the Light, part 3. 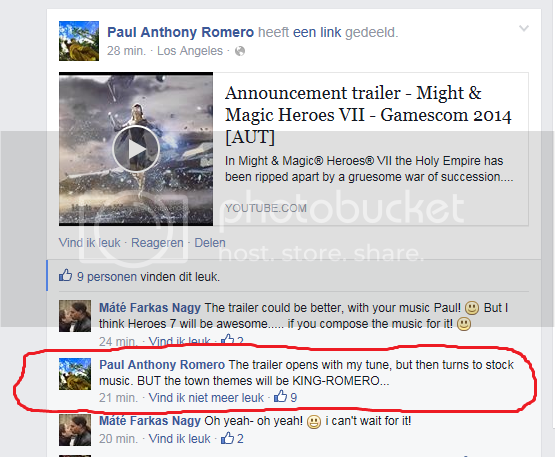 It is confirmed that Romero & King will work on Heroes VII music. IGN gameplay video from Gamescom 2014. Edited by Rakshasa92 at 13:54, 13 Aug 2014. I really wished they would be wiser and went with a real new start and cut all the dragon-god stuff away. I hope i'm proven wrong, but knowing ashan, this will be a 3D spectacle full of bugs and female monks, duplicate cheap monsters ect ect. In that trailer I see green undead, orange stronghold, so the color theme is also back? Disappointing! Also the female centaurs are back in the trailer, I hope that is not in the game. Edited by JeremiahEmo at 13:57, 13 Aug 2014. Storm Giant, are those heroes campaign heroes? I'd be so disappointed if Academy's is female. Hey, just my opinion. I want a hero that I can relate to for Academy (and Fortress or Sylvan too). Make the Orc hero female if the want to "balance" it. This doesn't have anything to do with the universe, but with the creators of the game... It was Blackhole Entertainment back then and now it is Limbic(that tried to fix the mess Blackhole made with H6 but they weren't so successful since the mess was quite big). We will see, personally I don't care what universe they are choosing, but how it is done matters a lot. Edited by Lexxan at 13:59, 13 Aug 2014. So what we see in this preview are... Humans, Angels, Orcs, Necro and... Wizards(????) uniting on one front against what I presume are the demons. Lol, so predictable. I'm slightly annoyed by the fact that Necro and Orcs are ONCE AGAIN going to be protagonists, but *sigh*, once the cow's been milked there's no point squirting the cream back up the udders, i guess. I swear to god, they better NOT give the Elves the shaft AGAIN. uniting on one front against what I presume are the demons. Not to what we know. They unite to end the Civil War in the Empire. They don't exactly unite, they simply offer Ivan advice on how to proceed next. Eventually he will have to make a choice. The part of the demons is long gone, after they butchered the Falcon family some 5 years ago. They have to be. Why would they be in the trailer otherwise? No, not really. As far as I know, there are factions that doesn't support any of the Dragon Gods and they can create new things if they want. The thing is, there are 9 known factions for now, and a ton of "subfactions" if you ever played Duel of Champions or know something about that game. There are thousand of creatures they can make. So creating new factions shouldn't even happen since we will start with 6 factions and they should work first on releasing the 3 that are left. Edited by Storm-Giant at 19:18, 20 Aug 2014. Edited by RMZ1989 at 14:37, 13 Aug 2014. I am not sure if that is some sort of campaign battle or it will be like that in normal games, but battlefield is a lot bigger and I really like that! I disliked the fact that a lot of units could pass the battlefield in one go in Heroes 6. Edited by Storm-Giant at 16:26, 20 Aug 2014. The more screenshots I see the more uncomfortable I feel. The recycling from H6 makes me unbelievably furious. Hopefully, it will all be gone at the release. Edited by foxxxer at 15:19, 13 Aug 2014. I'm not fond of the graphics but this is a personal opinion. I hope this time they'll make the things right. This deadline 2015 bugs me, even though the recycling. Edited by Dave_Jame at 15:17, 13 Aug 2014. I'm not fond of the graphics but this is personal opinion. I hope this time they'll make the things right. This deadline 2015 bugs me even though the recycling. actually thats the mmap, from a slightly different angle.